Nineteenth-century France was an important period of the art world. From the romantic art movement to impressionism, and post-impressionism, and finally modern art, this period saw a shift in the way artists went about their craft. Underlying the main focus of Cezanne and Zola’s friendship, Danièlle Thompson’s CEZANNE ET MOI gives us a glimpse into the changing path of painting in France during the 19th century. 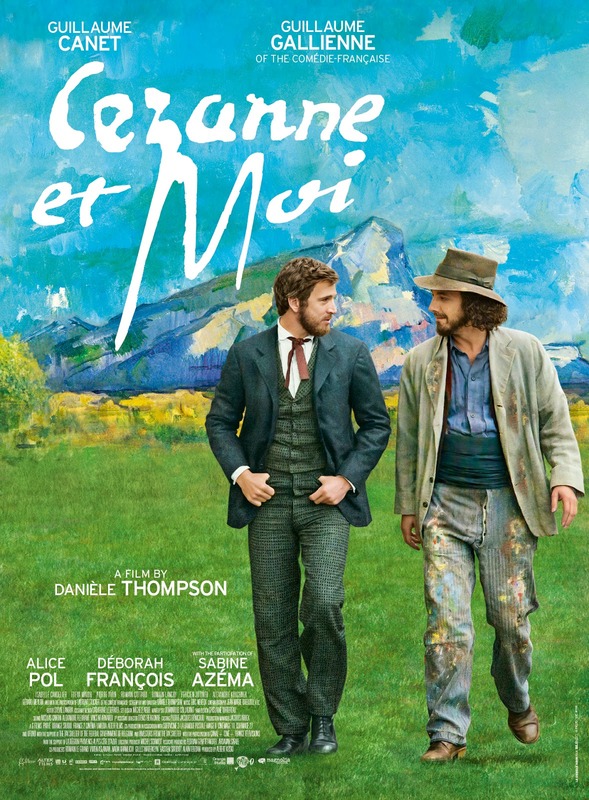 More than art history though, the film follows the friendship of the artists - painter Paul Cézanne (Guillaume Gallienne) and writer Emile Zola (Guillaume Canet) - from boyhood to their last days. The best moments of the film for me included scenes of their boyhood jaunts in Aix-en-Provence, France, with their other childhood companion, Baptistin Baille (Pierre Yvon). These scenes helped to establish a sense of their devotion to each other and what they referred to several times throughout the film as a brotherly genius. 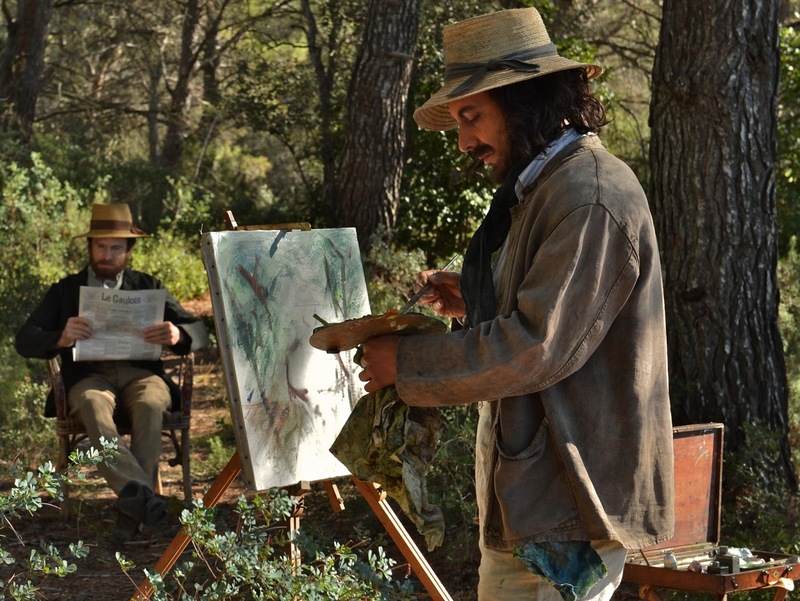 It also depicted how different their backgrounds were, Cezanne coming from wealth with Zola being less privileged. Of course, I couldn’t help but be taken aback by the scenery and how beautiful Aix-en-Provence was. Although Cezanne and Zola had an intimate, special friendship, it was marked with tension as the two competed for women, recognition, and success. Early in the film I found myself sympathetic toward Zola because of his humble beginnings. I’m reminded of the scene where he’s catching small birds in Paris to feed he and his mother. He seemed more deserving of the success he achieved. But as the film progressed, my feelings toward Zola changed as he seemed to become more settled in his success and perhaps a little arrogant. 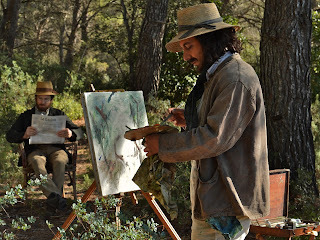 Cezanne, on the other hand, was a volatile hot head and not easily understood. In the end, he admitted his love for his friend, but the feeling was not reciprocated, which made my feelings toward him change. Guillaume Gallienne and Guillaume Canet in Magnolia Pictures release of Cezanne et Moi. One of my issues with the film was being able to track their many squabbles and the long stretches of time when they fell out of contact with each other. The flashbacks to earlier times helped, but not without me being a bit confused about the storyline. Although not a history buff, I found myself wanting to know more about historical references in the film the Salon des Refuses of 1863 especially. I imagine that for an art history buff, this film provides several golden nuggets for contemplation. I give this film 3.5 stars out of 4 because of the story of their friendship, the historical references that aroused my curiosity, and the boyhood scenes in Aix. If you appreciate period film and history, you might enjoy this film. Be prepared to give attention to tracking their relationship breaks and the reasons for them.